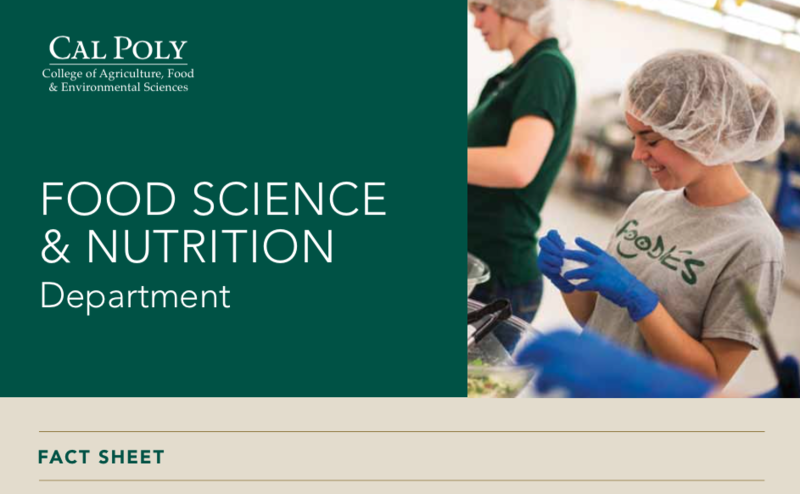 Cal Poly's Food Science and Nutrition Department offers comprehensive education in food science and nutrition, from the development of new foods to the study of how foods impact health, wellness, and disease prevention. Meeting the increasing demand for food and nutrition expertise worldwide, our graduates provide the public with well-prepared and highly competent food science and nutrition professionals. The university's Learn by Doing philosophy sets our students apart. 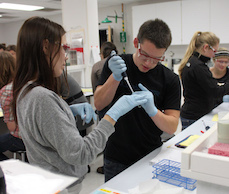 Our students are directly involved in the community, participating in unique hands-on learning opportunities which translate to industry readiness. All undergraduates, regardless of discipline, complete a senior project as a final demonstration of critical thinking and food and nutrition knowledge. This active learning environment has earned Cal Poly tremendous respect. Cal Poly gave me a great foundation to enter the working world with confidence to take on new challenges and actively pursue learning on a new level.